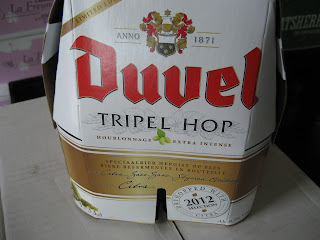 Seasonal Duvel Tripel Hop - Belgian Strong, made with different hops every year. This year´s limited edition is dry-hopped with Citra hops. Reminds me of a Loire Sauvignon. Delicious.